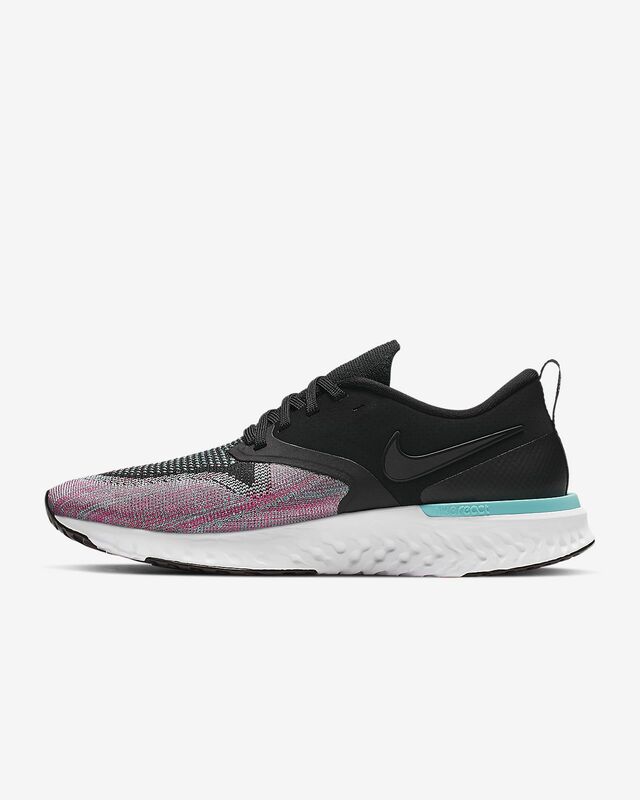 The Nike Odyssey React Flyknit 2 Women's Running Shoe delivers a strategic combination of lightweight Flyknit and synthetic material for support just where you need it. Underfoot, Nike React cushioning delivers a soft, springy ride for a route that begs to be crushed. 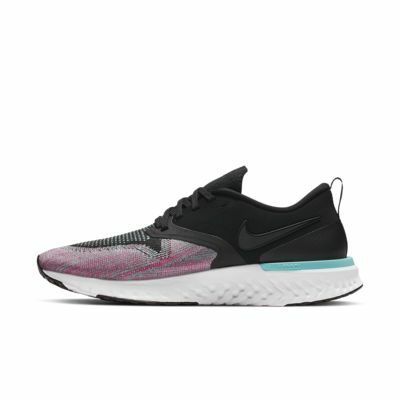 The Nike Odyssey React Flyknit 2 Women&apos;s Running Shoe delivers a strategic combination of lightweight Flyknit and synthetic material for support just where you need it. Underfoot, Nike React cushioning delivers a soft, springy ride for a route that begs to be crushed. Nike React technology delivers a soft, smooth, responsive ride. Flyknit construction provides lightweight flexibility and breathability. Soft, synthetic material provides support through the midfoot. Flyknit tongue gives a smooth, snug fit across the top of your foot. Molded foam collar for smooth comfort around your ankle. Athlete-informed outsole pattern helps evenly disperse impact to provide a smooth transition and soft feel. I wear a 8.5 or 9 in most normal everyday shoes but always size up to a 9 or 9.5 for running shoes. I bought a 9.5 in these, and my toes were crammed into the toe box. The shoe seemed comfortable enough that I purchased a 10 and 10.5. I really appreciate Nike's return policy.